When it comes down to it, the high cost of American health care is really about the prices. That’s the finding of a comprehensive paper published in JAMA last month, which compared health care costs between the United States and 10 high-income countries. Despite spending nearly twice as much as those countries in 2016, the United States performed poorer on many outcomes. The JAMA study’s emphasis on price over the usual sources of blame — such as overuse of care — adds to the growing national attention over the past year on the country’s extraordinarily high health care prices. The growing consensus also comes as California is taking the bold step of attempting to regulate health care pricing. But even as more research and policy efforts zero in on health care prices, some experts still caution that reducing costs isn’t as simple as it may seem. The phrase dates back to 2003, when Gerard Anderson, a professor of health policy at Johns Hopkins University, joined Uwe E. Reinhardt and colleagues for a Health Affairs study that outlined how “the difference in spending is caused mostly by higher prices for health care goods and services in the United States.” That now-famous paper identified higher health care worker salaries as well as more “service-intensive” hospital stays and a fragmented payment system that requires more administrative personnel as reasons for the country’s cost problem. I asked Anderson why this idea is just gaining broader traction now, even though the idea of high health care prices isn’t new. “What is unique at this time is that the difference between what the private sector is paying and what the public sector is paying for health care is starting to diverge,” Anderson told me in an email interview. When he and his colleagues wrote the Health Affairs piece 15 years ago, the private sector was paying on average 10 percent more than the public sector for health care costs, he said. Now the differences between the public sector (Medicare and Medicaid) payment rates and private payors is substantially greater. He pointed to a 2015 Health Affairs paper that described the gap between what private insurers pay for inpatient hospital stays compared to Medicare – and the widening of that gap in recent years. “Corporations, which pay the bill, are starting to notice the differential and want to take action,” Anderson said. States such as California are also taking note of soaring health care costs. California’s controversial proposal, which is backed by labor and union groups but faces strong opposition from hospitals and physician groups, would allow the state to set prices for prices for care in the private insurance market. Under the plan, a commission would set the reimbursement rates for private insurance plans paying hospitals, doctors and other providers, using Medicare reimbursements as a benchmark. Other states such as Maryland have also sought to contain soaring health care costs by setting “global budgets” for hospital services. The approach has had a mixed record of success, as economist Austin Frakt explained recently in The New York Times. But despite the mounting attention on the price of care, the story isn’t as straightforward as it might seem, cautions Katherine Baicker, a professor at the University of Chicago Harris School of Public Policy. Baicker wrote an editorial in JAMA that outlines the challenges in “drawing policy inferences” from the comparison of the United States to other countries when it comes to health care costs. “We’re learning a lot about what drives our high spending but there are still a lot of open questions,” Baicker told me. It’s hard to compare apples to apples if you don’t have more granular information, she said. 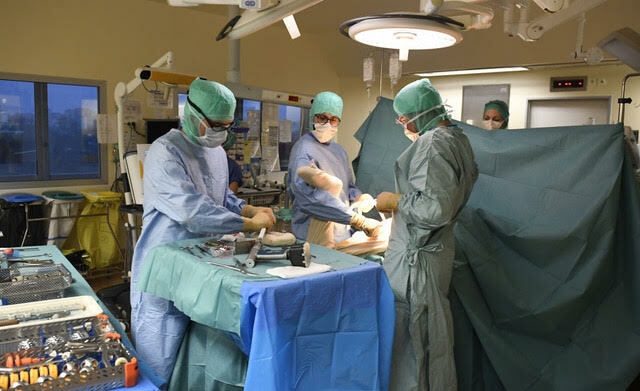 For example, it’s challenging to capture the quality and intensity of care, such as the training the surgeon received, and the amount of resources that went into that training. Patients in the United States might see specialists as much as Australians, but they may be seeing board-certified radiation oncologists instead of general oncologists. Simply concluding that American patients pay more for the same number of cancer care visits is potentially missing some of the nuances involved. But, what about looking at health care outcomes? I asked her. Shouldn’t that tell us if there are real differences the quality of care between two countries? Outcomes matter a great deal, she said, adding “the goal should be to get as much health as possible for every dollar spent.” That’s why it’s important to look at detailed-enough data to understand what health care is really buying. In looking at international comparisons, it's helpful to look at where physician salaries fall in each country's income distribution — for instance, are they paid more or less than lawyers? Are salaries so low that the country can’t supply enough doctors? It’s also important to look at wait times for procedures, which is one manifestation of lower provider availability.